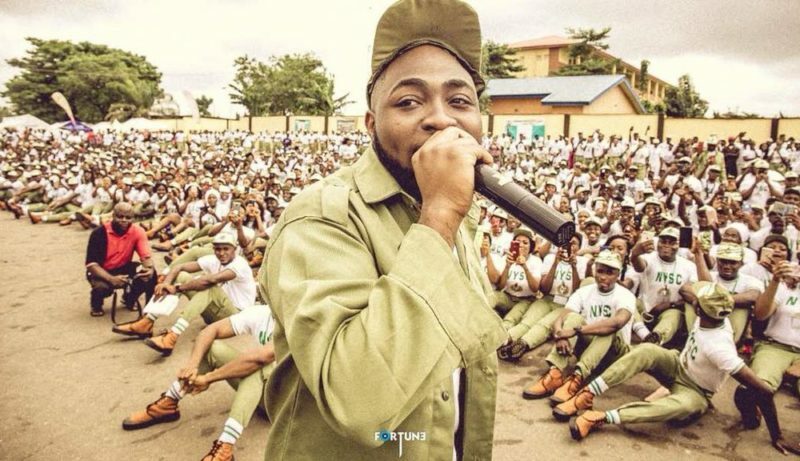 I Have To Start Preparing Myself For The Future – Davido On Joining NYSC – Nigerian pop superstar speaks up on why he decided to join the government NYSC scheme. The ‘Assurance’ crooner has been in the news this week after he enrolled for the NYSC scheme. His arrival at the NYSC camp Lagos caused a big uproar among the 2152 Lagos State Corp members. When approached by NAN Davido gave reasons why he joined NYSC. He said, “I am a youth and I am delighted to serve my fatherland.